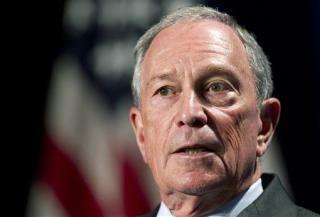 (Newser) – New York Mayor Michael Bloomberg is fed up with the current political climate, so he's launching his own super PAC to influence some change, reports the New York Times. His group will give up to $1 million apiece to candidates on both sides of the aisle who are behind Bloomberg's three main causes—legalizing gay marriage, stricter gun laws, and strong education. That's a hefty sum, since some candidates running for Congress spend about twice that on their entire campaign. With his own PAC, Michael can go from mayor to puppet master. Go ahead. Waste your millions on political ads. It's not like that money would be better served on actually improving your legal and education system.